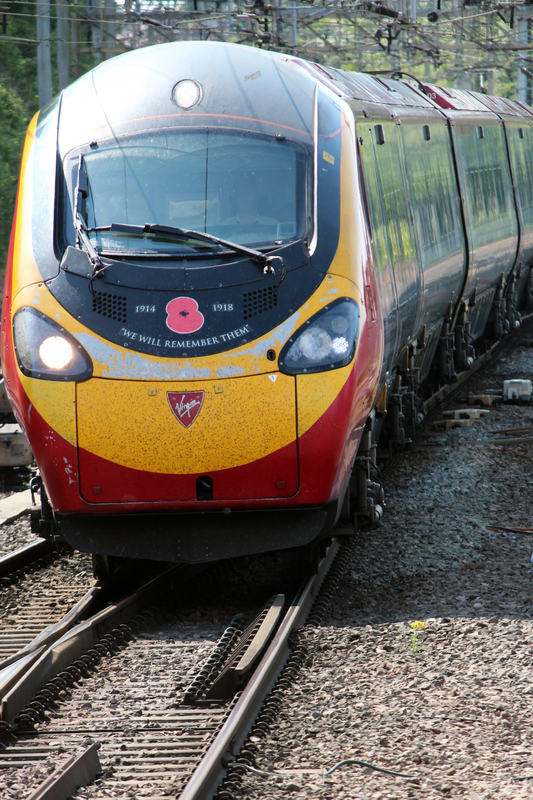 London – Birmingham Rail Line – not HS2! A recent business trip to London got me thinking about the original rail-line between the two cities, rather than the much-in-the-news High-Speed 2 (HS2). Railways are pre-Victorian. We often think of railways as being a Victorian invention, but Victoria did not ascend the throne until 1837. The Stockton and Darlington railway, 25 miles in length, is often considered as the first railway, and opened in 1825. The ‘Rainhill Trials’ in Liverpool, in September 1829, saw the appearance of ‘The Rocket’ often considered to be the first operable railway locomotive. Its great innovation was the use of multiple boiler fire tubes to generate more steam for less heat. 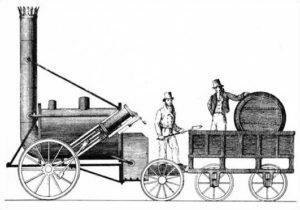 The Rocket was used on the Liverpool to Manchester railway, which was 30 miles, and opened in September 1830. (Incidentally, the railway was built due to concerns over the high cost of canal transportation, which subsequently fell when the railway opened, and this is not the famous 36 mile Manchester Ship canal which was constructed from 1887 and opened in 1894, indicating that there was life in commercialising the canal network even in the 1880’s). The London-Birmingham railway was proposed in the early 1830’s, and after discussions on the route, contracts were signed in 1833, with construction starting in November of that year. One engineer on the project described it as “the greatest public work ever executed either in ancient or modern times”. 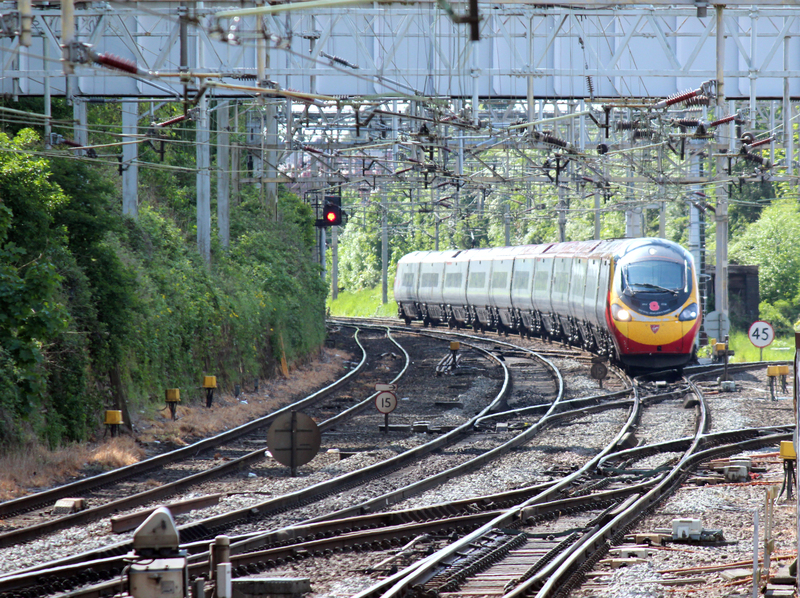 It would be the first true intercity service, and Euston became the first rail terminus in London. The 112 miles between London Euston and Birmingham Curzon Street fully opened just 5 years later in September 1838, although it was partly opened for the coronation of Queen Victoria in June 1838. Within just 10 years, between 1825 and 1835, railways had gone from local raw material transportation over a few miles to a true intercity service. The journey time on that first London-Birmingham railway was 12 hours and 30 minutes, compared to the planned 49 minutes by HS2 at speeds of 400km/h (250mph). Current Virgin Pendalino tilting trains cover the distance in 1 hour and 12 minutes at speeds of up to 200km/h (125mph). This reveals the reasons why we need HS2. The first trains could not go up hills, but could go around bends due to their lower speeds. This meant that track was laid to suit this. Unfortunately modern trains can go up hills but cannot go around bends at speed (hence the tilting and leaning trains) meaning that new track is required to gain a truly high speed train. This project shows many of the same issues as HS2. Problems raising the funds of £5 million, disputes with landowners who wanted to keep the railway at a distance, and problems with surveying and selecting the correct route. All problems associated with HS2 180 years later. Another similarity is the selection of Curzon Street as the Birmingham terminus. One thing that is different between the projects – the original rail line took 5 years to construct (based on 1830’s technology) perhaps 8 years allowing for the planning, whilst HS2 had its Genesis in 2009, and plans to be built by 2026 – a total of around 17 years despite all of the mechanisation and construction equipment available in the 21st century!